Tower showcase are very useful in the office, quite practical and generally eye-catching. They are perfect for separating different papers and due to their finishes can be placed wherever you want. Another great option is that if you have ample office space, you can take several collections there. You can also place inside recognition or plaques that have been awarded to you. These tower showcase have different finishes, levels and designs. With us you will only get the one you requested. Above all, there is your satisfaction. 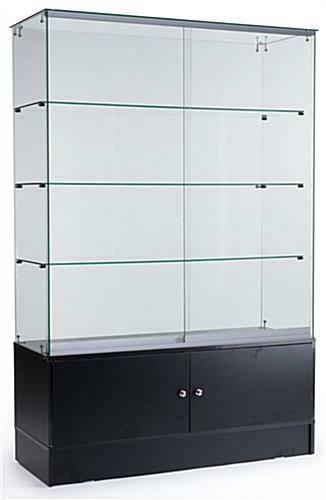 Freestanding display cases have become a sensation among football teams around the world. A great example is the Tigres team from Mexico, due to their large number of trophies, have decided to buy freestanding display cases. The Tigres team has become one of the teams with the most trophies and awards. The type of showcases they use are the independent showcases, each one for each championship. However, there are some that are multiple and are simply decorated to place the trophy and date there. It’s a new space with images alluding to the moments in which each cup was won. The trophies are individually illuminated as they are separated one by one in contiguous spaces. Above all it’s the look of your place! The dining room showcase has always been a somewhat controversial topic. Natural wood dining room showcase are perfect for very old-fashioned dining rooms. Painted wood showcases are ideal for slightly more modern and colorful dining rooms. Wooden showcases that are only varnished are ideal for homes with a more sophisticated style. 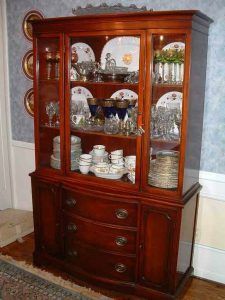 In addition to all this, their uses are quite varied, ranging from antiques to ceramic objects. Above all it’s your satisfaction. However, you can contact us for more information! Product or brand: increase and visibility above all. Open: show the store and shopping environment however the costumer see what he wants. Our high quality glass display cases are hand made in the USA and are shipped anywhere in the USA or CANADA fully assembled and ready to be used. Our clients really appreciate all the details and workmanship we put into each any everyone of our custom made display cases. 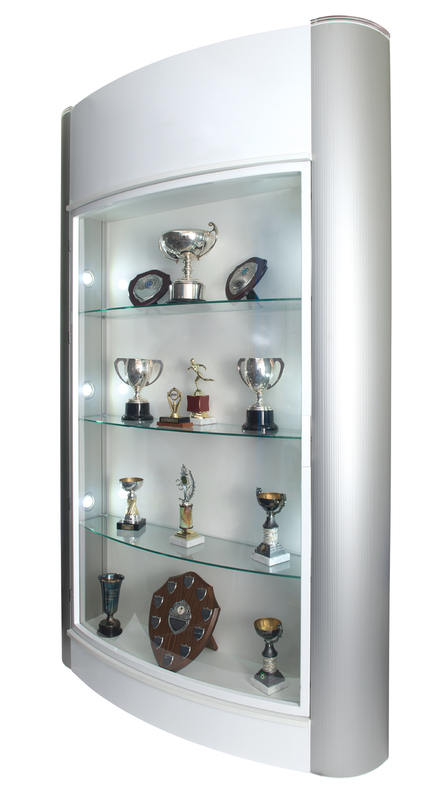 Our customers often contact us years later with compliments about our glass display cases and how these units have lasted even 20 to 30 years after they were first delivered and installed. 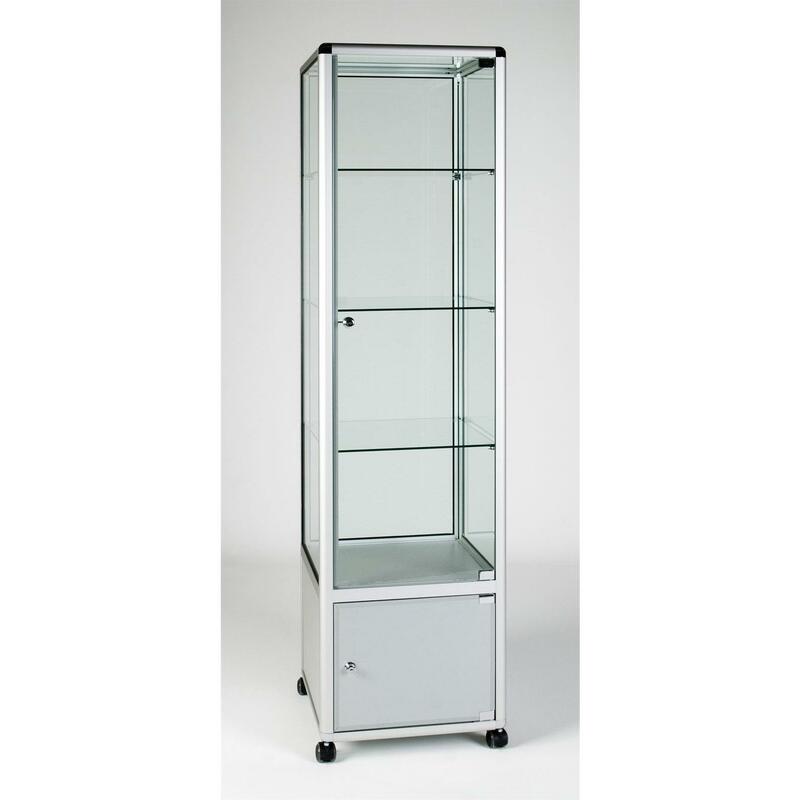 If you are an individual or a fortune 500 company in need of 1 or 100 glass display cases, you can rest assured that you will be receiving nothing but the highest quality jewelry display cases or any other kind of glass display cases on time and in perfect condition. Pedestal showcases. Beautiful showcases for its characteristic design. These showcases are designed with a special base. We can make quadrangular bases, bases with long legs, bases with bevels and special structures or bases with moldings. The pedestal showcases serve to give a more elegant appearance to your store. Commonly used for stores of recognized brands, jewelry stores, watch stores, eyeglass stores and more. Always are an excellent option to highlight your products. In addition to these showcases we can also offer: tower showcases, suspended showcases, hexagonal cabinets, octagonal showcases, hanging showcases, wall upright showcases and many more. If you are imagined a showcase and you do not see it in our gallery, contact us, we can make any design for you.